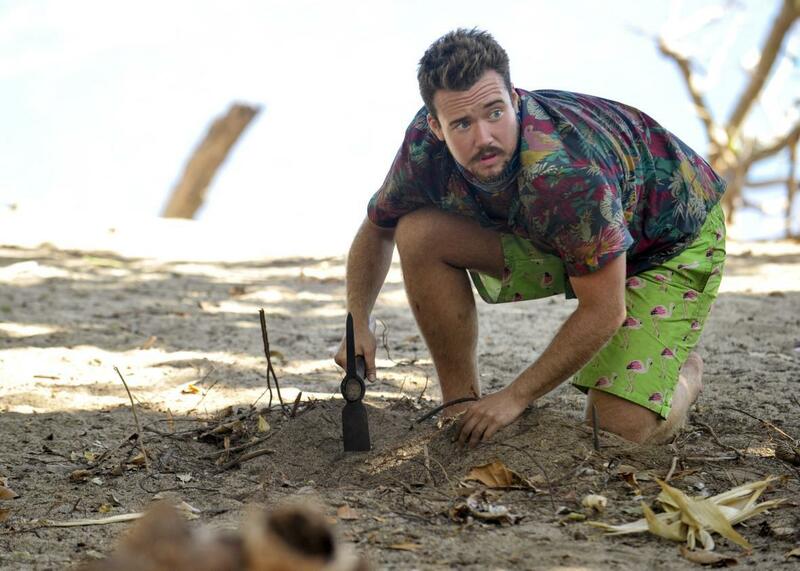 Survivor got the outing of trans contestant Zeke Smith just right. There was one great scene in last year’s Millennials vs. Gen X edition of Survivor that momentarily justified a cartoonish season of television. Zeke Smith, a gay improv comic from New York on the millennial team, was spending time alone with Bret LaBelle, a 42-year-old Boston police sergeant. Their interaction began as many do in Survivor, with two people of significantly different backgrounds—and, convenient to the season’s theme, different generations—bonding over their shared experience. But then, a surprising development: LaBelle came out to Smith as a gay man and described his journey to self-acceptance. “I didn’t grow up in a time when it was normal to talk about being gay,” he explained. “Zeke finds comfort in being himself, and I think that’s great. I’m hoping that as my life goes on, from here on out, I can be that way.” Despite the show’s insistence on tying an authentic connection to a hackneyed theme, the scene’s value remained intact: An audience of more than 8 million tuned in for a heartfelt talk on the evolution of gay identity. Survivor’s current season has facilitated dialogue on another, much more delicate LGBTQ topic. Smith returned this spring for a Game Changers edition made up of former players and, in a moment that abruptly brought Survivor back into the cultural spotlight, was viciously outed as transgender by fellow contestant Jeff Varner, a gay man, at the climax of last week’s episode. Varner, on the brink of elimination, brought up Smith’s “secret” in a desperate ploy to paint a rival player as a person steeped in “deception.” In so doing, Varner invoked one of the most dangerous and common myths about transgender people and their motives, but the gambit backfired. Varner was roundly criticized by tribemates for his “malicious attack,” while Smith—initially in silent shock, then remarkably measured and magnanimous in his response—received a unanimous outpouring of support. That a reality show on CBS—a network not exactly known for advancing progressive ideas—would even try wading into these waters has understandably raised a few eyebrows. This is a heavily, at times deceptively edited program with a history of insensitive categorizations and a broad audience that leans slightly conservative. (A 2010 study found Survivor was the eighth most popular TV program among Republican-identifying viewers.) It is executive-produced by Mark Burnett, the reality titan with the power to release those Apprentice tapes during the election. (He didn’t.) It’s also quintessential reality TV, a genre so maligned it often seems the best frame to describe the ascendancy and presidency of Donald Trump, himself a former reality host. The anti-CBS, anti-Survivor narrative writes itself: a powerful corporation and a past-its-prime TV series generating timely headlines out of a very real and very traumatic event. And the backlash certainly has an argument: Survivor was not required to broadcast Smith’s transition history to millions of people, and one could easily squint at the episode’s focus on the word metamorphosis or on the fact that Varner had hinted earlier about knowing “something” about Smith and justifiably see evidence of narrative manipulation. But as details have surfaced about how Smith, host Jeff Probst, the show’s other producers, and various LGBTQ organizations jointly prepared for the airing of the episode—whose footage was shot way back in the summer of 2016—it’s clear that this was handled with more sensitivity than was apparent at first. Survivor, in its own syrupy way, provided the ideal platform for an unexpectedly seismic cultural moment. As with Millennials vs. Gen X, Smith was not the only LGBTQ person on his tribe; he was joined by Varner, who was not openly gay on previous seasons of the show, and former finalist Tai Trang, a gay 51-year-old Vietnamese refugee living in San Francisco. The rest of the tribe, from different areas of the country, presumably had far less familiarity with trans people and the daily struggles they face. For many fans, this is the appeal of Survivor in a nutshell. At its most ideal, it’s a show that—in featuring a diverse group of individuals battling the elements together—showcases raw social dynamics as scripted and even most other reality programming cannot. If it so chooses, Survivor can serve as an intriguing and valuable conversation starter, especially so given its mainstream appeal. Last year, in Millennials vs. Gen X, Smith and LaBelle bonded in a way that gave viewers nuanced perspectives on queer identity. And for all of its pain and lasting damage, so too did Smith’s horrifying outing on Wednesday night. It’s safe to say that never before in popular culture had a large American audience been guided into witnessing such forceful, persuasive, and (seemingly) unprompted advocacy for the trans community. During the episode itself, people ranging from Trang to relatively conservative tribemate Sarah Lacina passionately called out the attack for what it was. The show’s talky tribal council ritual, usually a venue for cryptic messaging between strategic alliances, unveiled its political potential. Lacina, sobbing, spoke of her own evolution, trying to explain through the shock that she had grown in her understanding of trans issues. Ozzy Lusth, a fan favorite for over a decade now, told Varner that he “should be ashamed of himself” and was “playing with people’s lives.” There was no acting here. In the aftermath, current and former contestants on social media—as well as those in the depths of Survivor fandom, which remains a robust group—came together behind Smith while Varner crafted an appropriate apology, admitting to committing “assault” and acknowledging the privileges of being cisgender. Varner’s choice of language was crucial. Even as he did something inconceivably cruel, his background as an informed gay public figure allowed him to proportionately respond to his actions—to bolster the learning experience for less-inclined viewers and fans. Survivor is escapist entertainment that carves characters out of people, types out of personalities. But as so happens with “reality,” the show was tasked with respectfully depicting or omitting something that hit close to home. It was almost certainly cut together as a more palatable, less authentic version of events than what actually took place; we’ll never know the extent of the editing process. But regardless, the conversation we witnessed and the one that continued into the weekend was vital. Accusations of exploitation, irresponsibility, and flat-out conspiracy abound, but the victim they’re ostensibly defending is not speaking out against the network, the show, even the perpetrator. (“Forgiveness does not require forgetting or excusing his actions,” Smith said of Varner.) Rather, Smith continues to celebrate “the honor of another day playing the world’s greatest game,” reflecting on the painful growth Survivor has ordered of him. That producers consulted with Smith and groups like GLAAD signifies a genuine effort to get this right, anyway—to use an awful incident to help bring about change. With fundamental trans rights still a point of debate in standard political discourse, the collective rejection of anti-trans bigotry that Survivor put on display is major. It isn’t everyday that millions of Americans watch a trans person at the center of their favorite show, playing the hero. Broadcast television has a uniquely powerful role to play in the Trump era, but networks have mostly failed to rise to the occasion—CBS foremost among them. Survivor has long had the reach and the means to push past that reluctance, to meet the demands of the moment. It just had to wait for reality to set in.